At the ongoing Android Dev Summit, Google talked about how Dark Mode can have a positive impact on battery life, especially when it comes to OLED screens. 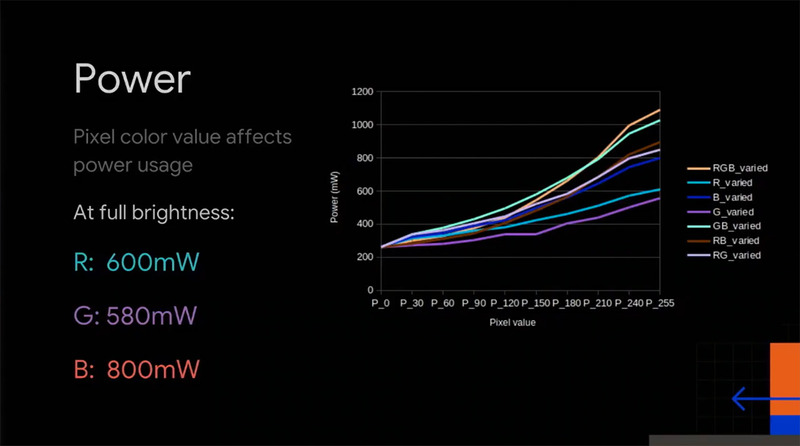 Google happened to look at various parameters that affect power draw such as brightness and color. Hopefully, this means future Android versions will have an option for a native OS-level Dark Mode. 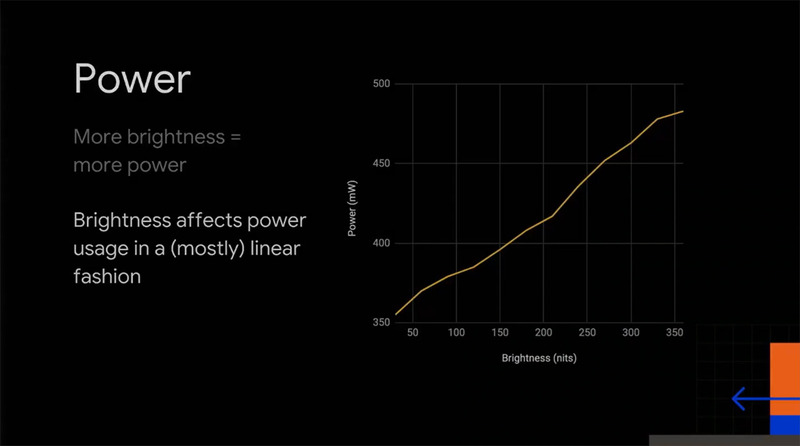 Google seems to have finally realized the obvious — Dark Mode can help with increased battery life. In a presentation at the ongoing Android Dev Summit 2018, Google showed a few slides that explain how it arrived at the conclusion. 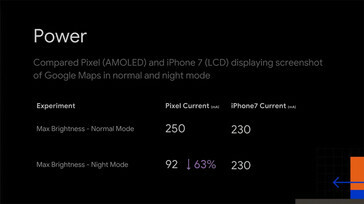 Dark Mode helps power conservation in devices with OLED screens as the pixels are completely turned off unlike LCDs where power is required to display both white and dark shades. 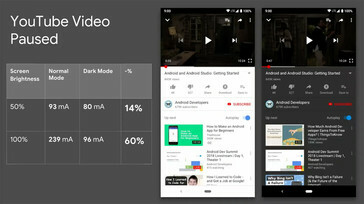 Dark Mode is also easy on the eyes, especially at night and therefore, it is not surprising to see users clamoring for a Dark Mode for most apps. 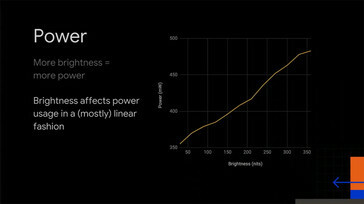 Google's data showed an almost linear relationship between display brightness and power consumption. 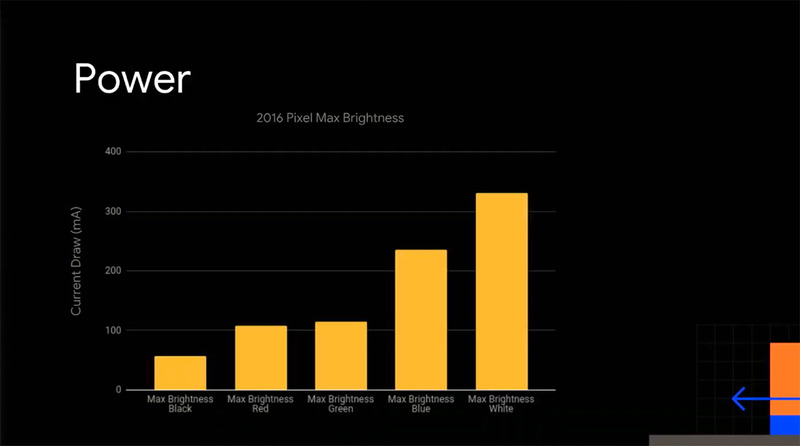 The testing was apparently not done on the latest hardware but they did compare the first generation Pixel's AMOLED display with that of the iPhone 7's LCD and measured the power consumption while using Google Maps in normal and night mode. Not surprisingly, the Pixel's AMOLED had a 63% lower power consumption in night mode while the iPhone 7's LCD had the same consumption in both modes. The Mountain View giant also looked into the relationship between power consumption and color. Each color has a different effect on the battery with combined RGB consuming the highest and green consuming the lowest, just below red. 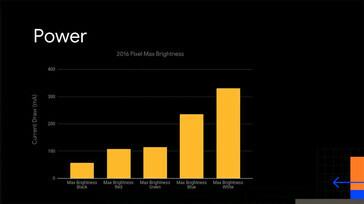 At maximum brightness, black had the least power consumption while white had the highest. 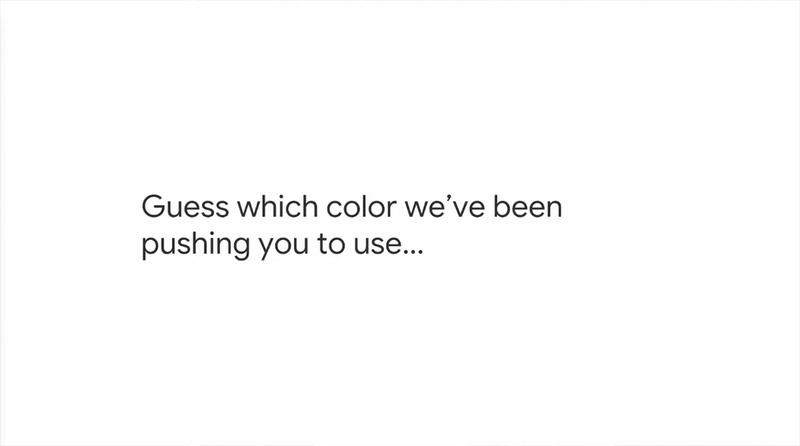 Google did admit that they've been pushing Material Design with an emphasis on white backgrounds on Android. That might change in the coming days as more Google apps will likely start offering dark theme options. We do hope that a future Android version can offer a native OS-level Dark Mode just like Windows Phone so that users need not look to third-party solutions such as Substratum.